For people who aren’t sure whether herbs are safe or effective, the herb hawthorn, which has been used medicinally for centuries, has been through the evidence-based wringer and received approval from medical research to safely treat heart disease, angina, arrhythmia and hypertension. Hawthorn is also approved by the German Commission E, a strict governmental regulatory agency on the therapeutic use of herbs. Random-controlled trials have confirmed hawthorn’s efficacy in treating heart disease symptoms, namely exercise intolerance, such as shortness of breath and fatigue due to the weakening of the heart muscle and the heart’s inability to efficiently utilize oxygen. Hawthorn helps the heart consume oxygen more efficiently. Participants subjectively report a greater sense of well-being, and scientists objectively note a reduction in signs of chronic heart disease. Clinical trials show that hawthorn improves coronary blood flow by increasing the integrity of blood vessel walls. 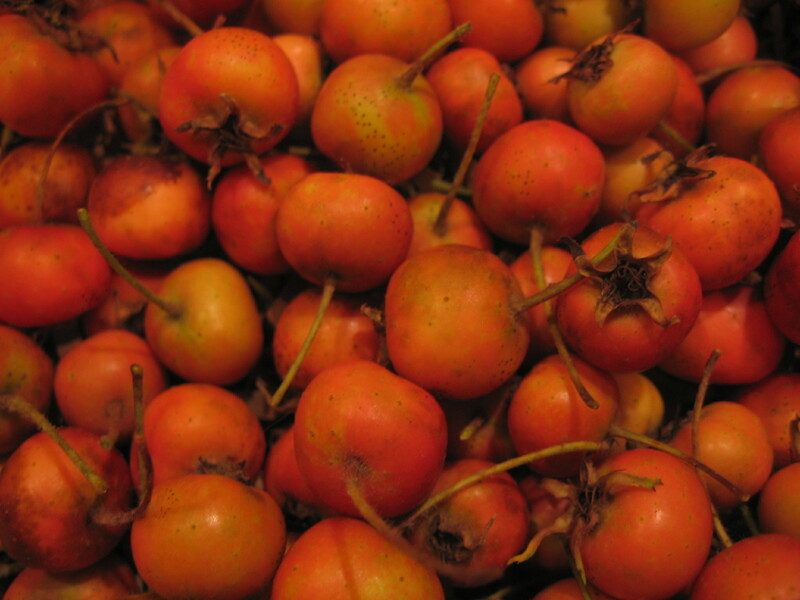 In rats hawthorn has counteracted heart muscle dysfunctions which occur when the heart experiences a pressure overload. To accommodate the pressure, the left ventricle of the heart begins to structurally remodel, losing its adaptive capacity. In the study, hawthorn modified the left ventricle remodeling disease process, and helped restore the heart muscle’s structural and functional health. The medicinal compounds found in European hawthorn (Crataegus monogyna, or C. laevigata, formerly C. oxyacantha), native to Europe and North Africa, are flavonoids and oligomeric procyanidins (OPCs). North America has several native hawthorn species, some of which grow in Georgia. Since much of the research on hawthorn occurs in Europe, Asia and the Middle East, the chemical make-up of native species has not been analyzed and compared to the non-native species; however, herbalists have used various species of hawthorns interchangeably. 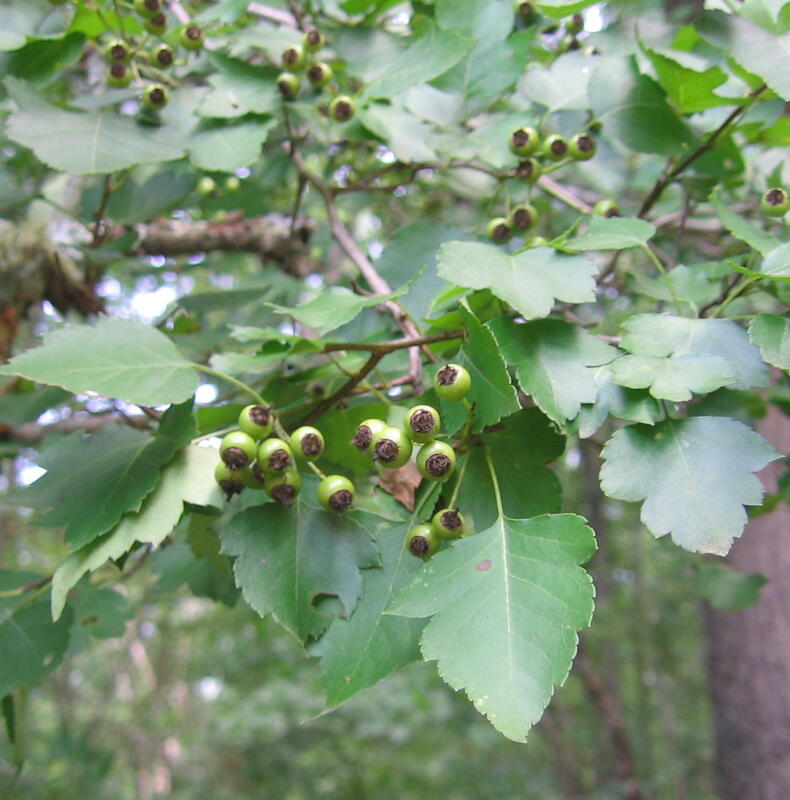 In fact, if you were to purchase capsules of hawthorn, it is likely the botanical name reads (Crataegus sp. )–“sp.” means species unknown, or a mix of species. The theory is that Crataegus species have similar medicinal compounds because they freely hybridize with each other, making identification difficult even for botanical experts. Growing in the woods of the UGA Intramural Fields and occasionally on UGA’s campus is a small-tree hawthorn species with long, thin thorns so strong and sharp you could use them to pierce ears. This showy native species of hawthorn looks to be Washington thorn (C. phaenopyrum), which has white flowers, beautiful red berries, and crimson foliage in autumn. Washington thorn was a colonial plant used at George Washington’s Mount Vernon, and as a living fence at Thomas Jefferson’s Monticello. The leaves, flowers and berries are medicinal. The fresh flowers contain the highest amounts of OPCs and flavonoids, but not when they’re dried. The berries, fresh or dried, are secondly most potent, and the leaves, fresh or dried, follow closely behind in comparison of active constituents. Many companies provide capsules of hawthorn for medicinal doses; however, for prevention, I make a syrupy jam using either raw or dried berries with honey, which is delicious and super healthy. Adding the leaves and fresh flowers to a tea can give the cardiovascular system a boost. Please consult with your primary practitioner before adding herbs to your health plan. The above article appeared in Athens Banner-Herald July 18, 2010. Recipe for Hawthorn & Berries Ginger Jam: Excellent for cardiovascular, capillary and vision health. Designed by the Willow Oak Flower & Herb Farm herbalist Maria Price-Nowakoski in Severn, MD. Use 2 cups of dried berries of all of one of the following, or a blend: Hawthorn berries, elderberries, rosehips, bilberries. Add a half of a tablespoon of thinly sliced ginger. Place berries & ginger in a saucepan, cover with water, then add 2 cups of water. Simmer until the water level just covers the fruit. Remove from heat & let cool. Puree in blender. Return to pan, add honey to taste. . Warm until you can just mix the honey thoroughly. Store in the refrigerator or freeze. Artemisia vulgaris: Is depression related to digestive health?